Never been politically active? Time to start. We will be leaders for women's empowerment. We believe whole-heartedly that advancing women’s leadership in business, government and communities is critical to all of our wellbeing. 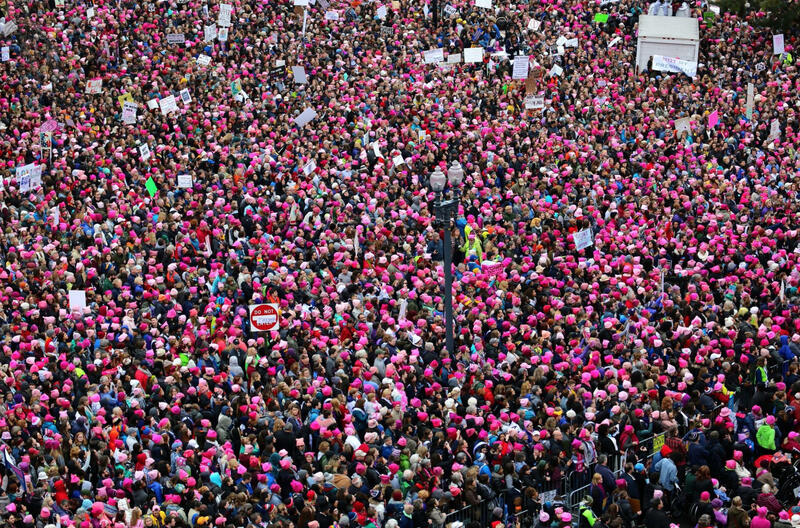 On Jan 21, 5 million women and supporters marched to protect our rights, our safety, our health, and our families. Our proclamation for women’s empowerment does not end in protest. "A womAn with a voice is, by definition, a strong woman"
businesswoman. philanthropist. co-founder of the Bill & Melinda Gates Foundation. This is a skills-building mixer where you will channel your political energy into something actionable. Learn how to harness your leaderships skills to contact your representatives, organize your community, run for office & do whatever it takes to be heard. Note: this is a BYOS event--bring your own stamps so we can mail your postcards for you! The American Civil Liberties Union (ACLU) is the nation's largest non-partisan guardian of freedom with more than 1 million members and supporters and affiliate or national chapter offices in all fifty states and Puerto Rico. The ACLU has been a powerful defender of civil rights and liberties in Utah and across the nation, working in the courts, at the legislature and in our communities to defend and protect the Constitution in light of recent threats. Not clear on our legal systems? No problem. Learn about the individual rights and liberties guaranteed to every person in the United States, and how you can get involved to protect the rights of all people in the country. Utah Women Unite exists to protect and advance the rights of all Utah women and girls. They work to elevate the status of women by addressing political, legal and cultural problems faced by women in Utah. UWU rallied the Women's Marches in Washington, D.C. and Salt Lake City, UT. They currently direct their efforts to influencing legislative changes that impact women in Utah. Want to engage locally? Spruce up your orgainzing skills. UWU works through grassroots efforts, including direct actions, community organizing, education, skills and leadership training. The Women’s Leadership Institute elevates women’s leadership in Utah by improving understanding of leadership roles, training women in leadership skills, and conveying the impact female leaders have on economic development and the health of the state. Led by Senator Pat Jones, the WLI works to get more women into leadership positions in the state of Utah, in business, on boards and throughout government. Thinking about running for office? You should. WLI will share the skills and resources you need to become a candidate for leadership roles in government and organizations that matter to you. It's not as hard as you think. All event proceeds will go to support the important legal and legislative work of the ACLU. “Power is not given to you. Rapid-fire talks begin: How to get heard & plug in. Break into groups to take action: write, call, sign-up, plan, organize & more! Pakistani activist. the youngest-ever Nobel Prize laureate. Because we will not be silenced. We're sold out! Follow us at facebook.com/womenpreneursutah for information on upcoming events!